AFF has contributed to a new publication from the Scottish Government welcoming families moving north of the border. The newly published booklet covers all you need to know, from housing to healthcare, employment to education and lots more. If you’re on the move to Scotland, or are already living there, and want to know more about what’s available in terms of services and support, take a look at the report here. 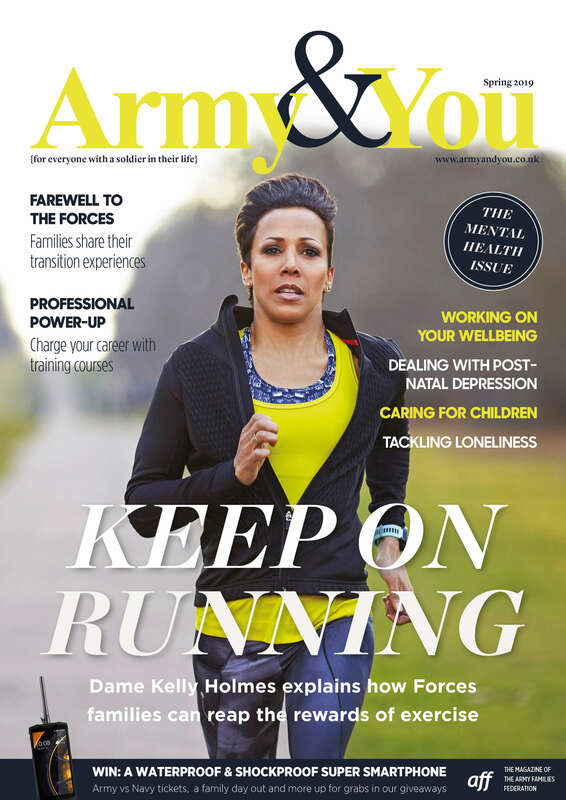 AFF provides excellent support to families in Scotland on all aspects of Army family life. If you have a query or concern, contact scotland@aff.org.uk. AFF visited Kinloss in Scotland in March 2017, and surveyed Army families in Scotland, to find out what it is like for Army families living north of the border. You can find details of what we discovered here. For the survey results, click here. The Scottish Government has recently renewed its commitment to support the Armed Forces, veterans and their families. Their document – ‘Renewing Our Commitments’ – outlines the Scottish Government’s ambition of making Scotland the destination of choice for those leaving the military, and sets out the priorities they are pursuing in partnership with organisations to continue to support our Armed Forces and veteran community. They are clear that this community is an asset to Scotland and makes a valuable contribution to Scottish society. There is also a Scottish Veterans Commissioner who can provide impartial advice to the ex-Forces community in Scotland. SFA in Scotland comes under the same Amey contract as the rest of the UK, and the system for allocations and repairs is the same. The recently introduced CAAS banding also applies in Scotland. As with anywhere in the UK, the housing can be of various ages and standards. Scottish Housing Guide for people leaving the Armed Forces and ex-Service personnel. Military Matters is a Housing Options Guide created by Housing Options Scotland. The Scottish Government has pledged to increase the provision of free early learning and childcare provision to 1,140 hours per year by 2020, for children who are three or four years old, as well for two-year-olds whose parents/carers are on qualifying benefits and are eligible for the 600 hours free entitlement through the Children & Young People’s Act 2014. Currently, free provision of early learning and child care is offered to all three and four year olds as well as vulnerable two-year-olds. This equates to around 16 hours per week during school term time. This free provision is delivered by a mixture of local authority nurseries, nursery classes attached to schools, partnerships offered by private or non-profit nurseries, and some child-minders. The 16 hours’ provision per week can be taken in sessions of between 2.5 hours per day and up to a maximum of eight hours. For more information, click here. There is a huge amount of support and information available for families regarding the education system in Scotland. There is a National Transitions Officer for Children and Young People of Armed Forces families in Scottish Schools. There is also a Parent Support Officer (Scotland) who is part of the Children’s Education Advisory Service. Education in Scotland-An Introductory Guide has been produced and is aimed at providing information to Service Families. See also forceschildrenseducation.org.uk, including some informative videos under the ‘Parents’ tab. Student Awards Agency Scotland – Advice for members of the Armed Forces and their families on entitlement to SAAS funding. Prescriptions are free in Scotland, for all members of the family. As with moving elsewhere in the UK, waiting times and priorities for treatment may be different – see our health page for details on how the Armed Forces Covenant can help in this area. There are a number of initiatives in Scotland to support spouses who would like to gain employment and/or return to work after a career break. Specifically, Women’s Enterprise Scotland (WES) have worked with Service spouses to help them develop their own business ideas. WES schemes are run within local unit areas, and there are many success stories. Skills Development Scotland supports families with employment and training advice in Scotland. As a result of devolution, the Scottish Government, as a Devolved Administration, can set its own income tax for those whose main place of residence is in Scotland. This does include Service personnel and their families if their main place of residence is in Scotland. The Scottish Rate of Income Tax (SRIT) for the tax year 2017/18 meant that approximately 2,000 Service personnel who were higher rate Scottish taxpayers were affected, as the higher rate of SRIT starts at a lower income level than in the rest of the UK. For 2018/19, there have been more changes, including the introduction of additional tax bands. As a result of these changes, some lower earners (those on £24K or less) will pay less tax than if they were resident elsewhere in UK; those earning over £24K will pay more. The MOD has recently announced that Service personnel posted to Scotland will receive an annual payment to compensate for paying a higher rate of income tax whilst in Scotland. Full details are available in the Defence Information Bulletin. Please remember to contact HMRC when you leave Scotland, to ensure that your tax code is correctly updated. There are a number of Scotland-specific specialist support services. The Armed Services Advice Project (ASAP) provides dedicated information, advice and support to members of the Armed Forces community in Scotland on a range of areas, including benefits, debt, employment, relationships and housing. The Royal Caledonian Education Trust (RCET) is an education trust supporting the children of Scots who are serving, or have served, in the British Armed Forces. They also work through their education programme in Scotland with schools, local authorities, Armed Forces charities and the military on initiatives to support Armed Forces Children, their teachers and their families in the school environment. Military Matters (MM) is a specialist project within Housing Options Scotland, focusing on housing issues affecting people serving in the military in Scotland, Service personnel transitioning into civilian life and veterans. MM provides housing information, advice and support to family members too. Although both Scotland and England are part of the UK, Scotland has its own distinct judicial system and its own jurisdiction. Some laws are different in Scotland, for example, the drink drive limit in Scotland is lower than the rest of the UK.